$4,500 or more plus 25% of Sales. Your film is one of many dozens or hundreds of Films available. Your film is not actively promoted. It is just displayed. You have no control over who obtains your screeners. You have no control over the types of films you are associated with. You might not want your film associated with some of these films. Usually displays a small 8X11 poster if you are fortunate. Never any Press Kit Still Photos. Has the Sales Rep actually watched your film and can they answer questions about you and your production company? Is the Sales Rep actually at the booth or is it sometimes unmanned? No video stream of the sales booth. Many times not even a proper sales booth with partitions - just a table or a booth share in a less frequented area. No playing of your trailer. Customized experience – not available. if you want to provide extra sales sheets, t-shirts, promo items, food or drink you are out of luck. Cannes screenings – Not available. 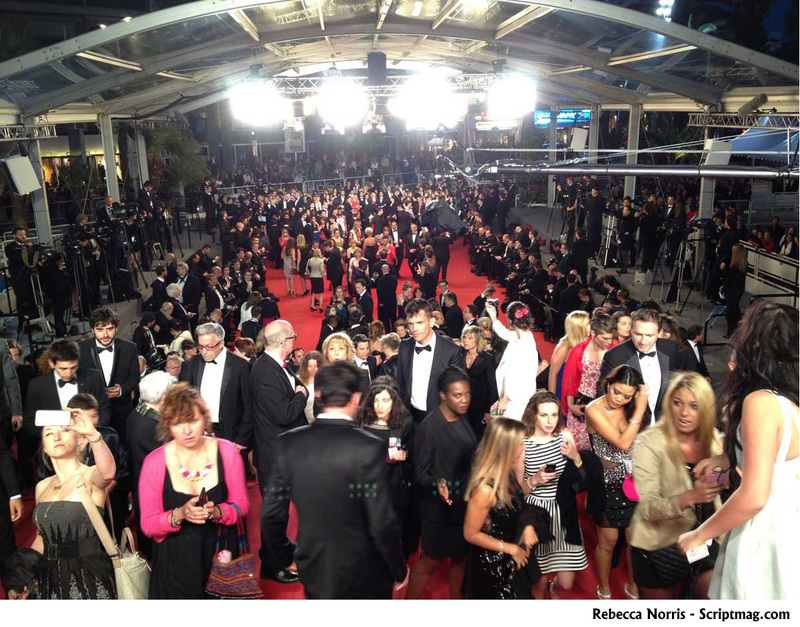 If you wish to arrange screenings for your film at the Cannes Theatres, you must arrange for them yourself. High Value Advertising - Not available. 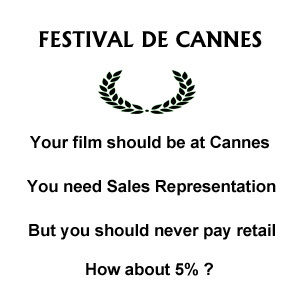 Signposting, Cannes Marketing Bag, Daily Screening Program, Cannes Market News, The Funds Book, The Pocket Guide, The Producers Guide, and Media Packages you must arrange for them yourself. $5,900 plus 5% of Sales in the 1st 90 Days. Any sales that happen after 90 Days - Zero Commission. Your film is one of only 4 - 6 Films. You have more control over the types of films you are associated with. In-the-booth screening on a 52" HD Television on a comfortable arm chair. Your film will be shown on request to prospective buyers according to their requirements. Sales sheet and screener DVD give-aways that you provide. Twitch® Video stream of the sales booth so that the film owners can observe the Cannes marketplace and who visits the booth. Over-sized sales booth partitioned for privacy. Not a booth share or table share. Your trailer is played alternately on a screen in the front of the booth throughout the show. 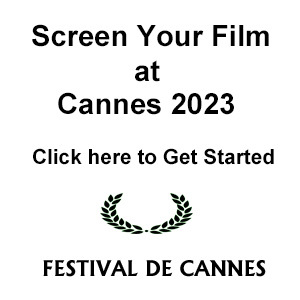 Cannes screenings – If you wish to arrange screenings for your film at the Cannes Theatres, arrangements can be made. If you wish to serve drinks during your screening, arrangements can be made. Additional costs and booking deadlines are involved. Please inquire. You need at least one screening to appear in the magazines. 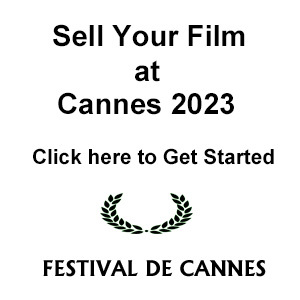 High Value Advertising - Signposting, Cannes Marketing Bag, Daily Screening Program, Cannes Market News, The Funds Book, The Pocket Guide, The Producers Guide, and Media Packages are available. Additional costs and booking deadlines are involved. Please inquire. $28,880 (2 People) - You keep all revenue. Your film is the only one available. Many buyers do not want single films and they may not be sure if you can submit a full package of deliverables. Your film is actively promoted inside the sales booth by you. Your assistant must promote your film outside the booth. You have control over the types of films you are associated with because it is only your film on display. Your in-the-booth display can include large posters and Press Kit Still Photos that you provide. In-the-booth screening on a 53" HD Television - You will have to arrange and pay for this yourself when arriving in Cannes (around $3000). Sales sheet and post card give-aways that you provide. You can talk about you and your production company. The sales booth is always manned by you or your assistant. Twitch® Video Stream allows the world to see your video being displayed at Cannes - You must buy a camera and arrange for this yourself. Full sized sales booth, booth share or table share, whatever you can afford.